Building a new home from scratch takes a big leap of faith and a whole heap of money. For some of us, the better alternative is to extend, change or improve our existing homes, especially if we’re really happy with the location. 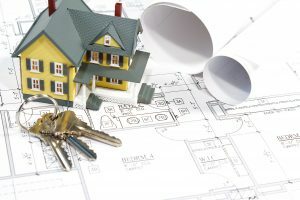 Commissioning a house designer to create an addition, remodel or renovation house plan can be the most cost-effective way of achieving your dream home. What’s the difference between addition, remodel and renovation? An addition goes beyond or above the existing footprint of your building. For example, adding another floor to turn your ranch-style into a two-story house or extending your house outwards to add a garage, laundry room or dining room. A renovation involves restoring your home or business to a good condition. There’s no dramatic change to the structure or design. Rather, it’s about adding new fixtures, refacing old cabinets, installing granite countertops, plastering walls, affixing moldings, etc. In other words, making an old building look new again by repairing or improving it. A remodel requires altering the structure of your house or office and perhaps changing the use of a space or reconfiguring the layout. For example, knocking down walls between a kitchen, dining room and living room to create a large, open-plan concept. Remodels are generally more complex than renovations, although both usually work within the building’s existing or ‘as-built’ footprint. What’s involved in the design process of an addition or remodel? Drafting a house plan for an addition or remodel starts with recording the building’s existing footprint. This is known as an ‘as-built drawing’. Starting with an as-built house plan is vital because it can spark new or better ideas and reveal unexpected obstacles that will save you money in the long run. If bearing walls or other structural elements are going to be removed or altered, you will probably need to hire a structural engineer to approve the house plan before you approach a general contractor. An historic building may require a full as-built house plan, especially if its appearance and integrity needs to be preserved. These house plans are usually reviewed or archived by a Historical Architectural Review Board (HARB). What’s more, the design process may require specialist knowledge, research or consulting from local historians, architects or contractors. Ready to kick-start your addition or remodeling project? If you’re planning an addition, remodel or renovation in and around St. Johns County, Florida, I’d be happy to work with you. Our initial meeting would take place at the job site (i.e. your home or office), and we’d need one or more hours to discuss your requirements, measure existing conditions, consider setbacks, and review existing plans (if you have them).